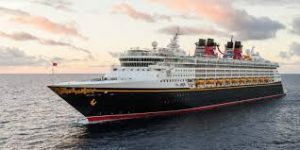 Listener Jessica joins us to discuss her and her husbands recent trip on the Disney Magic through the Western Caribbean. Her cruise left from Miami, and she provides some great tips on where to stay and how to get to and from the Port of Miami. She also talks about their favorite things to do onboard during sea days, running the Castaway Cay 5K, and her thoughts on cruising without kids.